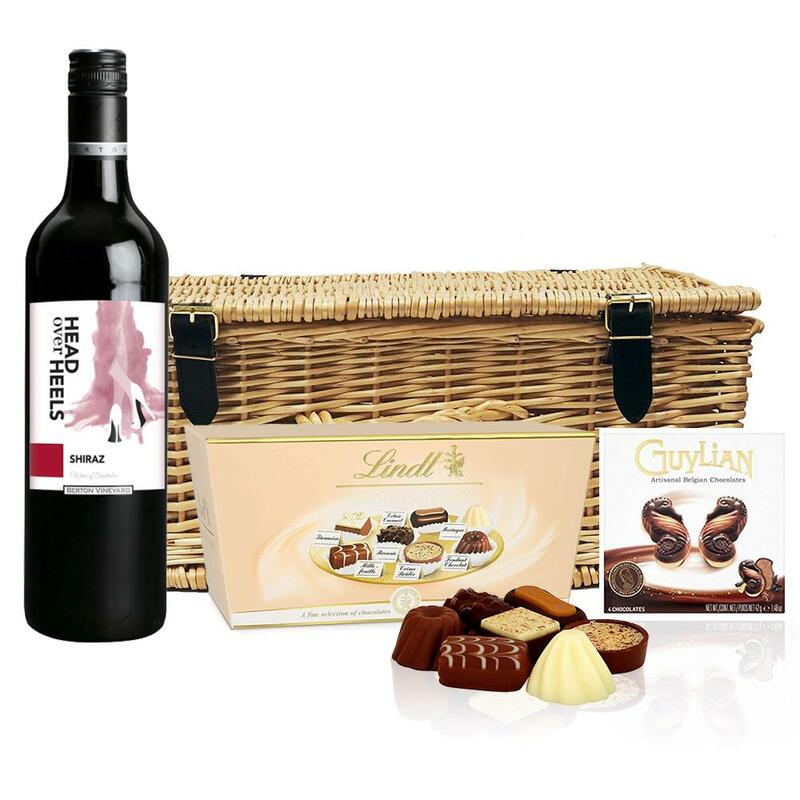 Head over Heels Shiraz and Chocolates Hamper A delightful gift of Head over Heels Shiraz along with a box of Hamlet Belgian Chocolate Truffles (35g) and Belgid'Or Fine Belgin Choclates (175g) all packed in a wicker hamper with leather straps lined with wood wool. All gifts come with a gift card with a message of your choice. This shiraz offers an abundance of expressive aromas, predominantly of blackberry and plums along with toasty sweet oak. A generous and concentrated palate offers flavours of blackberry, black cherry and plum. Complex oak characters of coffee, vanilla and caramel complement the full fruit flavours and create a long, rich and satisfying finish This product is hand packed onsite by Gifts International, and is not affiliated with any other brand. Gifts International is responsible for this product combination/set.